Hi, I can’t find the Crowd Calendar for may. Hi, would there be a huge difference between last week in May and first full week in June? I’m wondering if Memorial Day itself has a large impact on the last week in May. We are trying to decide between those two weeks to go. I’ve always used your advice and character locator! TY! Hi! Any idea when you will have your June 2019 crowd calendar up? Kenny- when do you anticipate that the June 2018 park hours will be uploaded to your site? Thanks! you’re awesome! Thanks so much! will the June 2018 Calendar be released soon? 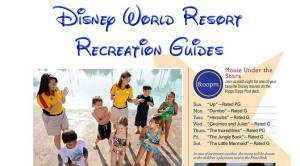 Would we be best to go on the weekend to water parks while the other parks are more crowded? Typically the water parks are better earlier in the week and heavier as the week goes on. Thanks for the updated info, Kenny. We’ll be there the from 6/6-6/11. We have Early Morning Magic booked for that Tuesday on the 7th. 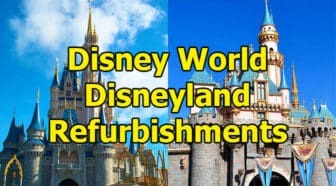 We read your helpful detailed review of EMM a few weeks ago, do you think Disney has kept the ticket quantity stable for that event or do you think they sold more during the summer season dates? I’ve really enjoyed reading all your tips on your site. My family is heading there in June but we are so disappointed that MK doesn’t have longer hours. It is getting pretty close to June and I am beginning they will actually not be extended. We were going to take your advice and take an afternoon break but without them being open until midnight, I feel like we are losing a lot of time. Do you think there is still a chance they might extend them? Hi Kenny, I checked Disney web site and it looks like they canceled EMH on june 5th for HS. Do you know if this happen often? I already made my fast pass reservation for this park… This is disappointing. 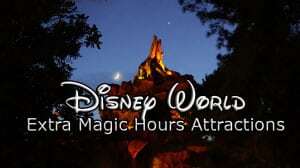 Is evening EMH at Magic Kingdom always 2 hours? If I’m reading the “travel agent” calendar correctly, it shows evening EMH on June 8th as only 1 hour. The new month in view is so great!!! Thanks for the hard work! I’m looking at the crowd calendar for June 21 – 23 2016 and I’m not understanding how for MK Tuesday can go from Yellow and then Wednesday with Red and then Thursday to Green. 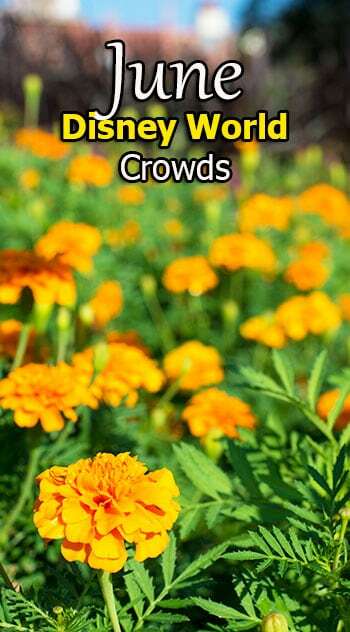 How do you know in advance what the crowd could possibly be? Could it really be that drastic of a change from day to day? Yes it can be, but you are looking at Best Park, Median Park, Worst Park. Overall crowd level is at the top. there are better and worst days to visit based on wait times and those correspond to the number of people in the park. The June hours for the second week at Magic Kingdom are historically much later. Do you think they will be extended closer to time? And possibly another Main Street Electrical parade added? Or was that due to Star Wars Weekends, and since that is no more, the hours are now earlier? Just trying to plan dining reservations. Your website is amazing! Truly the most useful information out there. We are huge character buffs with three young children and you are the only reason our last trip was successful! I have an autistic child and had to plan, and make alternatives, just to make sure things went smoothly. Obviously it went well, I am planning another trip! Yes hours will change from now to June. They always begin low and increase later along with second parades. Glad I can help! I was comparing your calendar to wdwprepschool and they are not the same. The EH are off on several days for several parks. Not sure which calendar to go by….. Sorry about my error in links. I’ve corrected the issue. Links for June weeks seem to be going to April instead. Can you fix lease and thank you! Can’t wait for your take on first week of July too! When will you have the crowd calendar for June 2016? The page says June 2015, but the calendars are still for June 2014. Any estimate when the 2015 June calendar will be available? I’ll have it up this week. 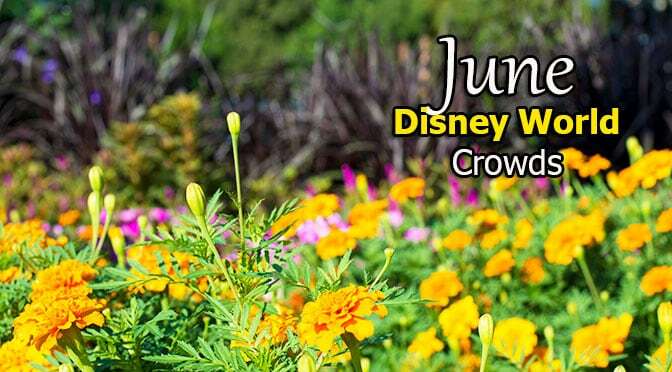 Do you have any comment on crowd level at Disneyland parks in June? Hi Kenny. Looks like the PDF version of the calendar is not downloading. Just purchased the Character Locator for our June trip. Thanks you for all of the help! I removed the pdf for now until I can get it working correctly. Looks like a lot of work! I like that you included “gay days” – do you plan on including other high volume events, like cheer championships, pop warner, etc?